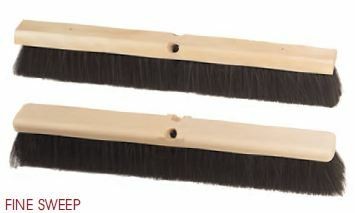 The modern replacement for horsehair will not mat and has excellent bend recovery. Where dust and light debris is a problem, this is the answer. Long wearing and works well with sweeping compound. This soft blend of synthetic is ideal for smooth polished floors also long wearing. Works very well with sweeping compound. 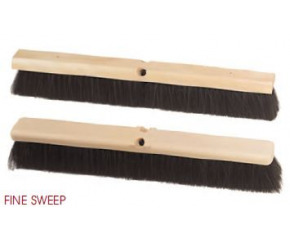 As a concrete finishing brush, for those contractors who want to save time, it can’t be beat! Size ": * Please select18"24"